Want reduced recoil and minimal vertical movement? 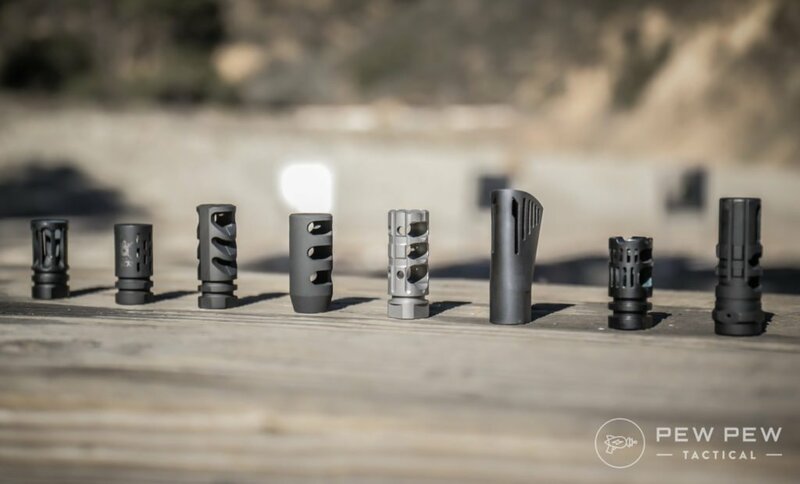 Then you want an upgraded muzzle brake. 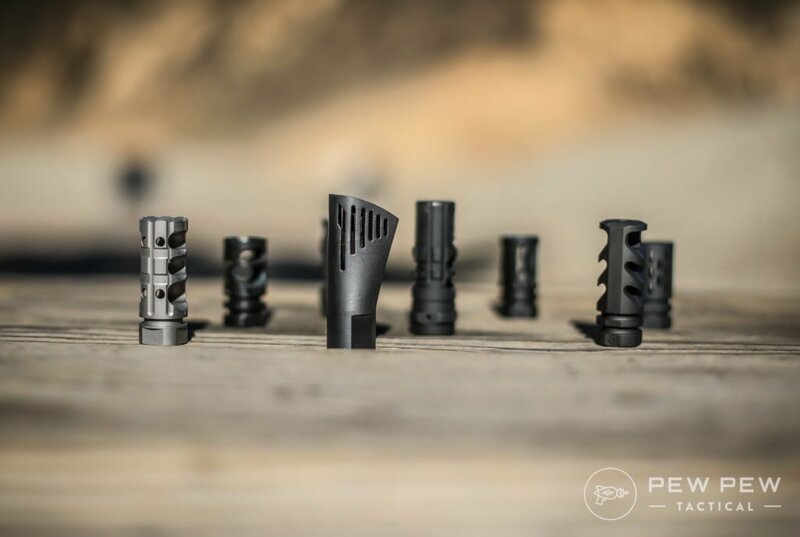 We hands-on test 8 of the most popular and high-performing muzzle devices out there. 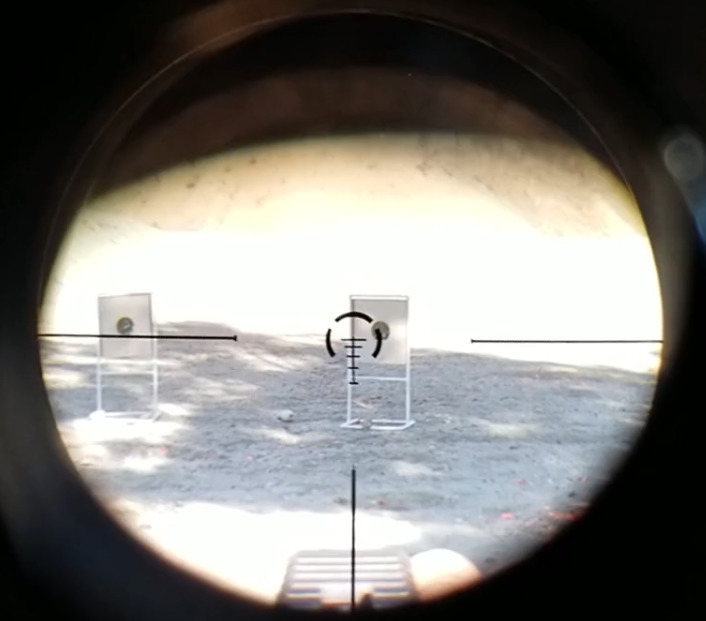 Not only utilizing reduced recoil data…but looking at side blast, decibel readings, and reticle movement. And of course…offer our suggestions based on your budget. Let’s start off with some quick terminology. Most muzzle devices are hybrids now. But it’s good to get the technicalities out of the way. Now let’s talk about hole size. Brakes and compensators will have exit holes roughly the size of the round. 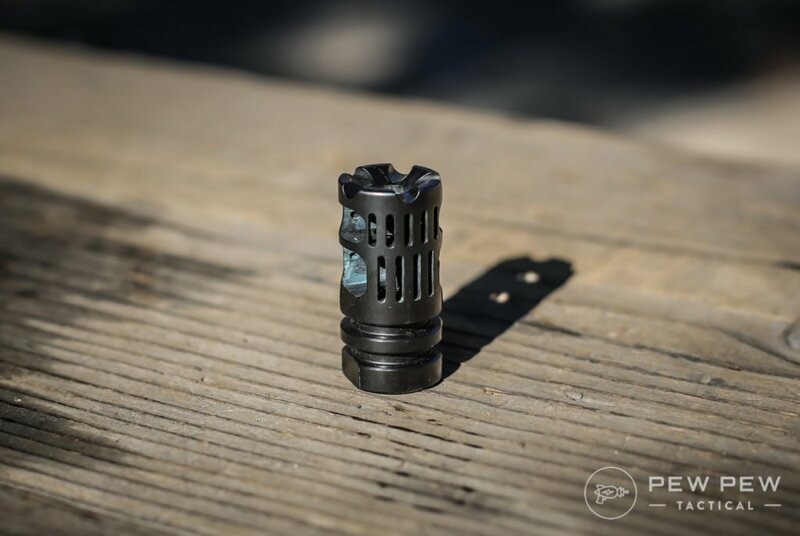 While flash hiders are larger so there’s space for unburnt powder to…burn. For states that don’t allow flash hiders…make sure the exit hole is about the size of the round and that no where in the literature does it mention flash-hiding abilities. 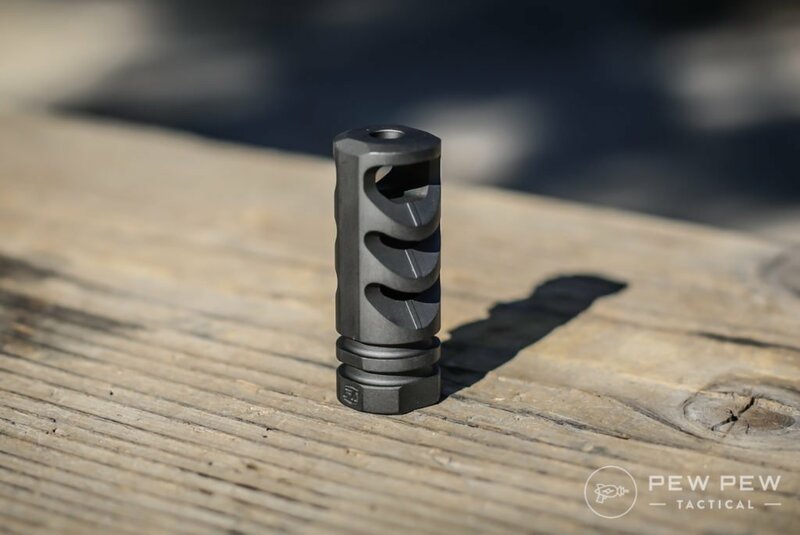 For some pure flash hiders, check out our Best AR-15 Flash Hiders article. Now let’s get on with testing. I try to stand on the shoulders of giants. 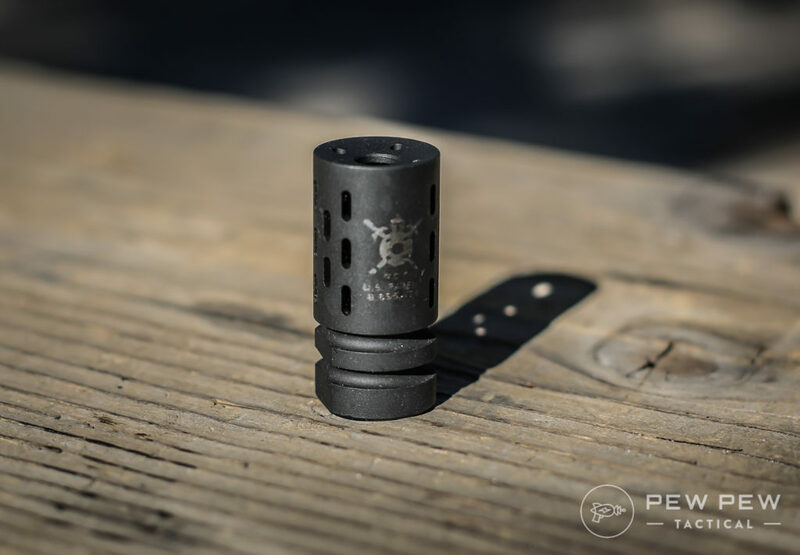 And Jeremy S. over at TTAG has done some amazing work on muzzle devices. 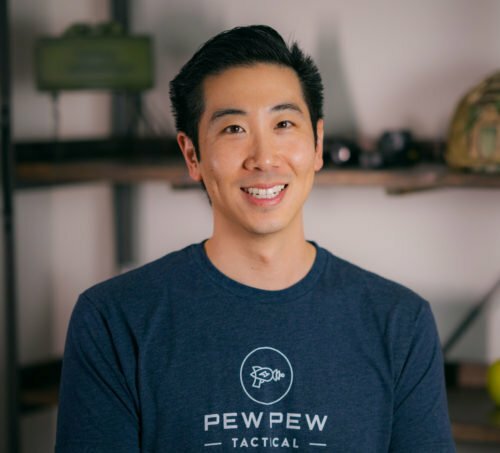 I humbly start with his info on reduced recoil distance from his Muzzle Brake Shootout #1, Shootout #2, and Shootout #3. 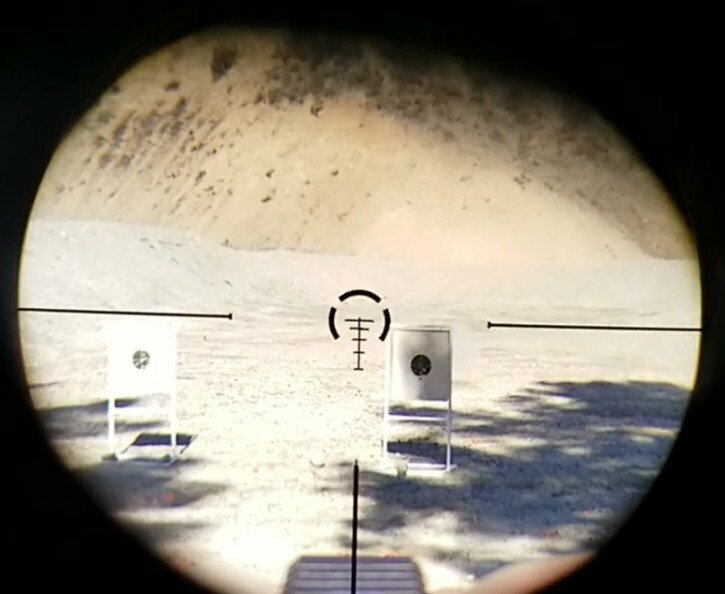 TTAG Tested Muzzle Devices, Jeremy S.
Then I amp it up with some side blast comparison…since sometimes it’s cool to think about your fellow shooters next to you. On the range or when clearing rooms (of course). I had grandiose delusions of measuring the angle of floating balloons or using some cool powder that would disperse. But what worked best in the end was a windsock on its side. It’s not super scientific but I kept the same distance and position…and tried to keep the angle of blast the same. Much movement = a really uncomfortable guy/gal next to you. Now a little for your own pleasure. 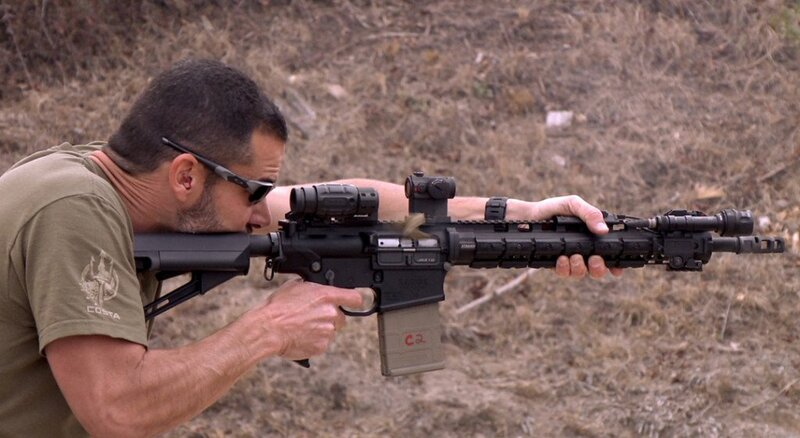 When you reduce recoil and vertical movement…a lot of that energy is converted into that side blast and also sound. 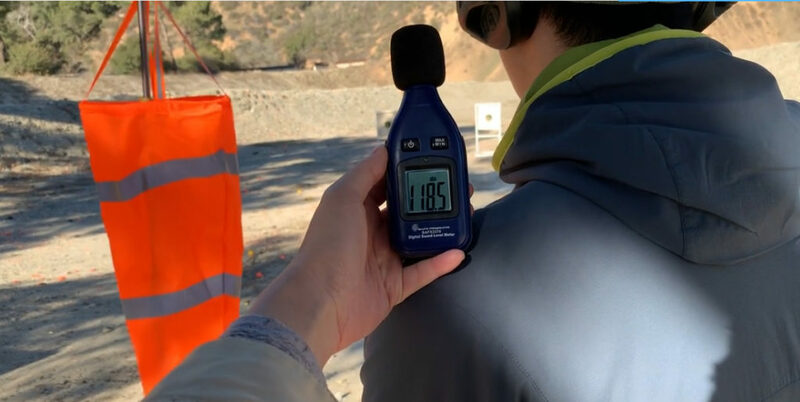 I usually have to double-up ear protection when I shoot compensated AR-15s. So I got measurements at shoulder level to mimic what you might hear. 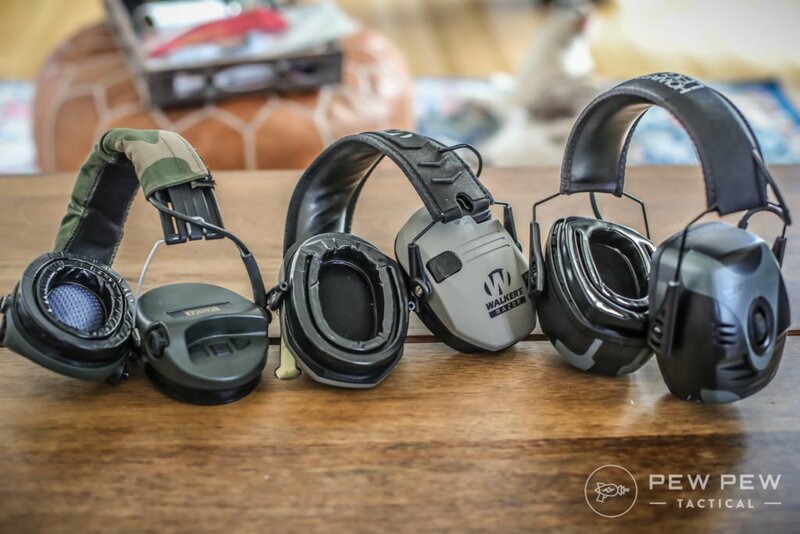 If you don’t want ringing ears…heck out our Best Shooting Ear Protection for our tested favorites. Note that decibels (dB) are on a logarithmic scale (thanks math) so a 3 dB change is roughly 2x the loudness. 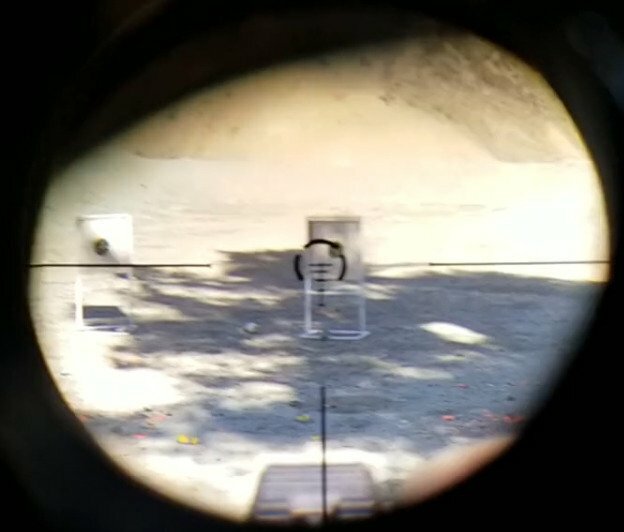 And what might matter the most…what you see down your optic/scope. 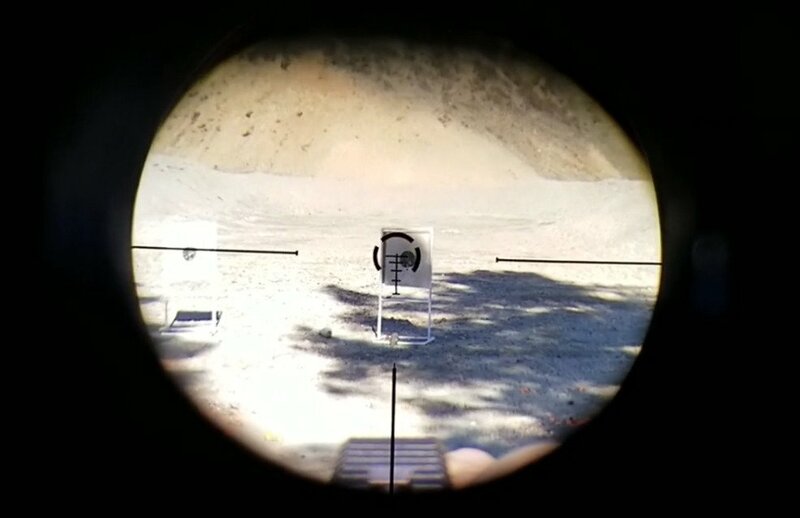 I’m using a Strike Eagle 1-6x at 1x at a ~25 yard target. 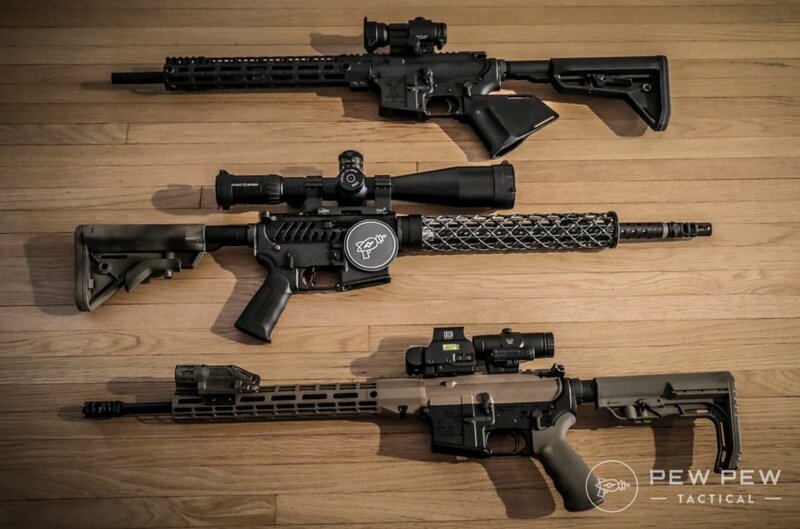 Check out Best AR-15 Optics or Best 1-6x Scopes for more details. 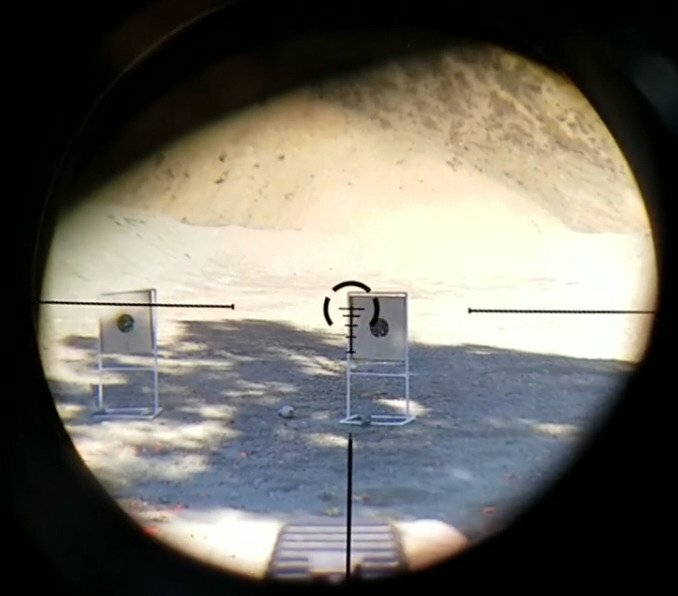 So I have video through every scope with a couple shots downrange. I shoot standing up with a c-clamp grip and try my best to let the shot move naturally before moving it back on target. And also my camera adapter flips the image, so my right hand is now on the left. And the “true” movement of the reticle is also flipped. 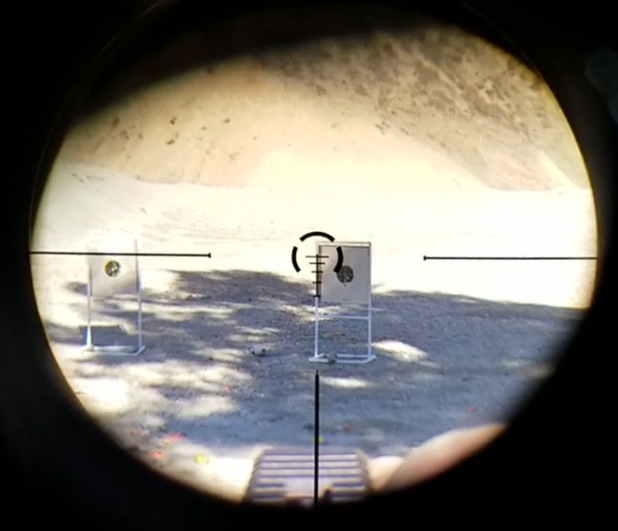 But since we’re looking at the absolute movement of the reticle…we’re still good because all the muzzle devices are timed to 12 o’clock (top of the device is matched with the top of the barrel). The OG and what likely came on your stock AR-15. The A2 Birdcage does a very effective job of reducing blinding flash (.48 Lux compared to >10K Lux for a bare muzzle, TTAG Flash Hider) but not so great at felt recoil or vertical movement. A perfect control for our next candidates. Not a lot of movement on the windsock and from personal experience…perfectly pleasant to shoot next to with proper ear protection. Average of 116.3 dB although the last one might have been an error. Otherwise around 118.8 dB. But you can see the fairly large movement of the reticle. It does the job and at a super reasonable price and weight (1.9 oz) too. The BattleComp was big deal a few years ago…is it worth the hype? And oddly…seemed to have more reticle movement even though its cuts make it almost a pure brake. And at a more vertical 11 o’clock direction compared to the A2’s 10 o’clock. Dimensions are very similar to the A2 (and weighs in at 1.7oz )…and if we go with the BattleComp 2.0 info from TTAG’s article…is decent at flash suppression with 1.41 Lux compared to the .48 Lux of the A2. However the reticle movement is a deal-breaker for me. At least for how I shoot. 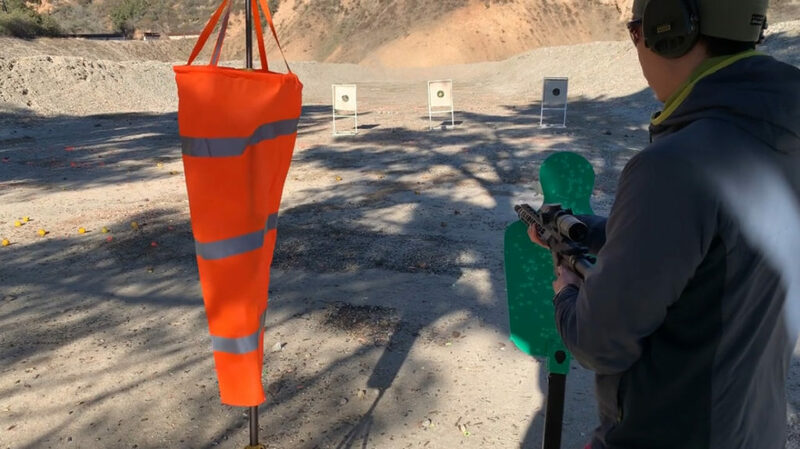 The M4-72 Severe Duty was the winner of two shootouts with 74% reduced recoil…so I had to try it out for myself. It has some pretty aggressive side cuts which make it a pure compensator. And really little reticle movement! It’s definitely longer and heavier (2.6 oz) than the A2 but really does its job in the reticle department. Your buddies might hate you and it’s a little louder for you. 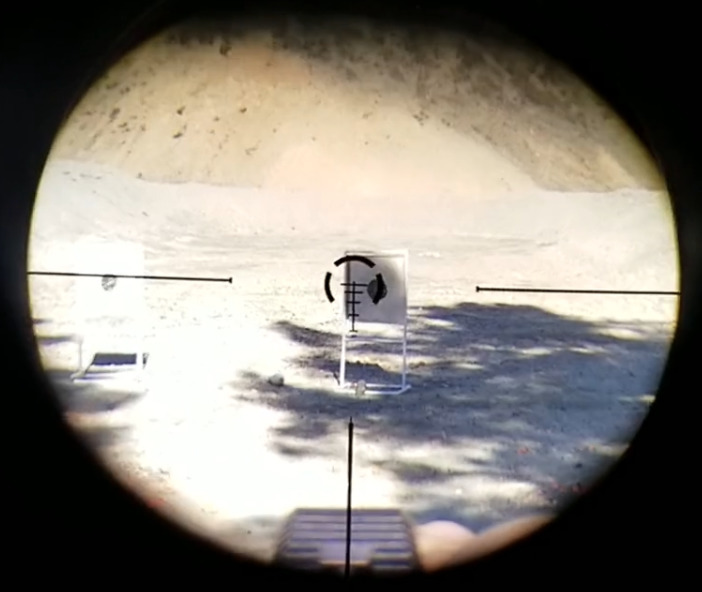 But if recoil reduction and keeping your reticle on target is the name of the game…this one might be our winner if ~$100 is within your budget. What’s your take on the M4-72? 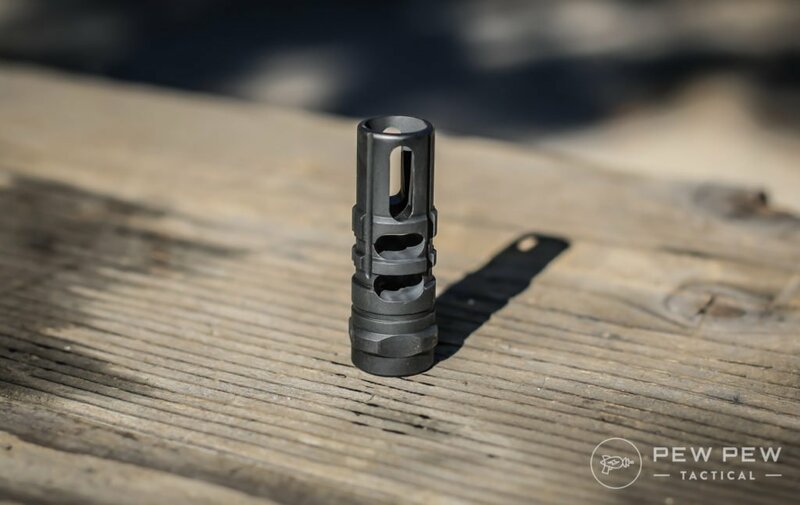 The world’s fastest shooter helped design this relatively simple pure compensator that clocks in a nice 68% recoil reduction. I’ve been using versions of the Miculek Brake for a lot of my competitions. It was hard for me to find the exact frame but it’s really good. Movement felt slightly more 9 o’clock compared to the M4-72. If I had to choose a winner between these two it’d still be the M4-72…but the Miculek is less than half the price although heavier (3.3 oz). Ascend’s hybrid brake and compensator (both side and top holes) looks great and is super light (1.4 oz). Let’s see if something half the weight can stand up to our previous two pure comps. Since more weight also helps stabilization at the end of the barrel. Not as great as the M4-72 or Miculek…but very respectable and probably half the distance of the A2. I’d take a serious look at the Ascend if you want something different or you’re obsessed with weight. Plus the price isn’t too shabby for something titanium. Now let’s get REAL exotic. 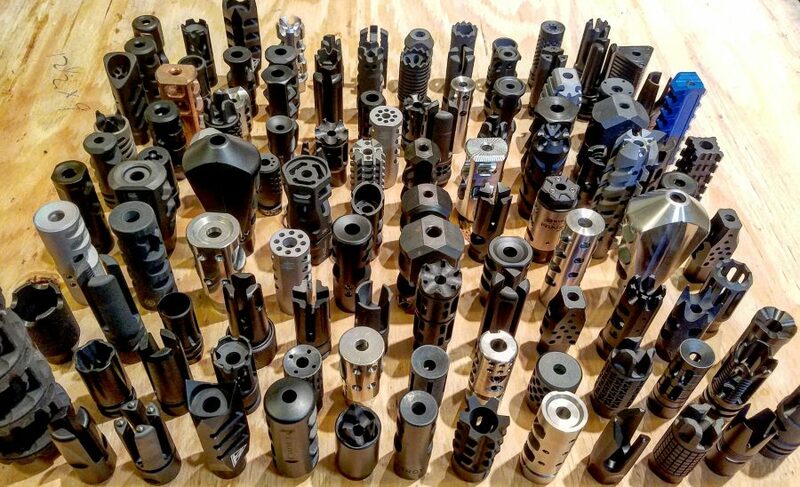 That’s because the Nero 556 is 3D-printed from Inconel…the stuff they use in rocket engines. And because it’s 3D-printed they can do lots of cool stuff you can’t with milling steel. But did you see how the reticle moved? I’m glad I read somewhere that this happens to a lot of shooters that first try out the Nero. We’re so used to an upward movement that a flatter shooting muzzle device makes us press down. Later on in the day when I man-handled the Nero rifle less…I had even better results. If you want bleeding-edge technology at whatever the cost…check out the Nero. The makers have hooked you up with coupon code “PewPew” for 10% off. 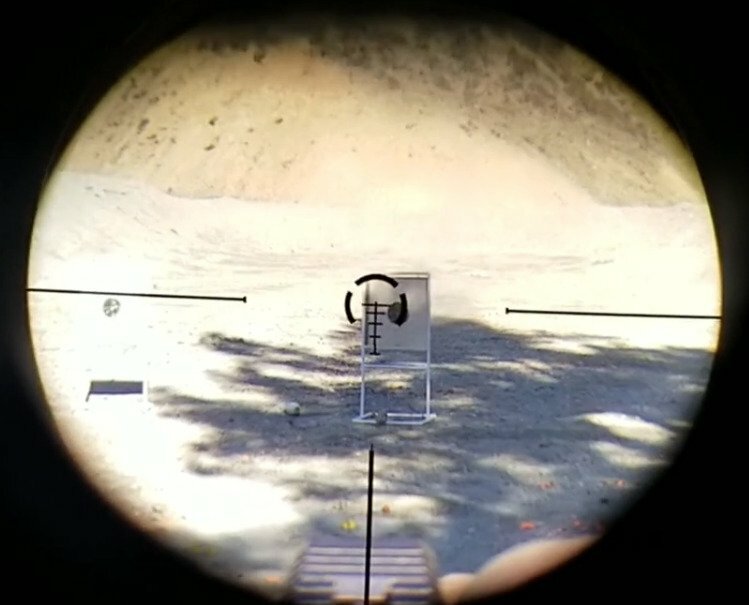 I’ve shot this A LOT on my go-to Aero Precision rifle (full review) and it shows. The VG6 Gamma was a great upgrade from my A2 and had a very nice 66% recoil reduction in the TTAG article. Remember…the Miculek was 68%. It’s a little more movement than this but I couldn’t get a good screen capture. But you can see there’s a lot of vertical vents on the Gamma so it also pushed the reticle down for me. It’s also pretty compact and light (2.1 oz) for its great performance. Plus the price is coming down which makes it a deal for something all-around that doesn’t destroy the people to your side. What I’ve been shooting the most recently since I started reviewing a lot more uppers. Oh…and also that it performed well across the board on TTAG’s tests…with 61% recoil reduction and also 1.44 Lux in flash hiding. But pretty good in terms of low reticle movement. However it’s longer than normal and weighs in at a hefty 3.0 oz. My go-to choice if you want something that’s all around in terms of price, recoil reduction, flash hiding (possibly), and reticle movement. Let’s summarize based on some scientific but mostly my subjective opinion. 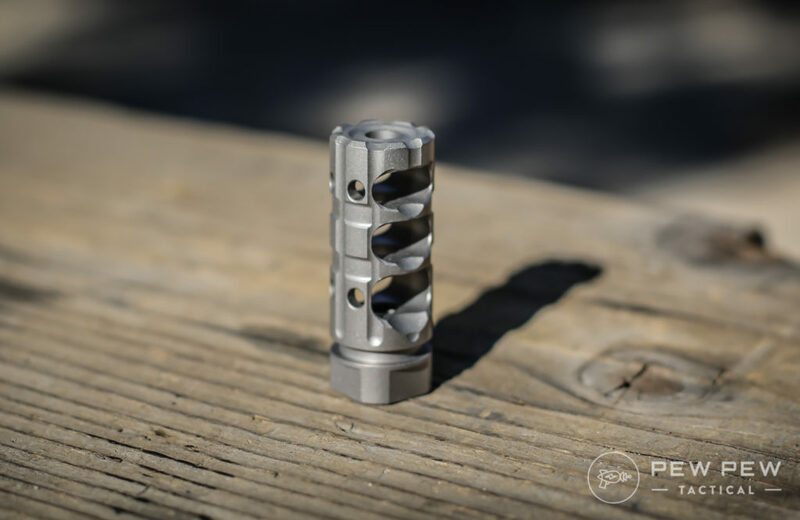 Best Compensator goes to the Precision Armament M4-72 Severe Duty since it reduces the felt recoil the most. Plus had the least reticle movement. But the people next to you (and your own ears) will hate you. Runner up is the Miculek at less than half the price. Best Brake/Compensator Hybrid goes to the VG6 Gamma since it’s right behind the M4-72 and Miculek in reduced recoil, has some great downward force on the reticle, and is annoying but not as annoying to others. Plus…it’s more compact, lighter, and still affordable. 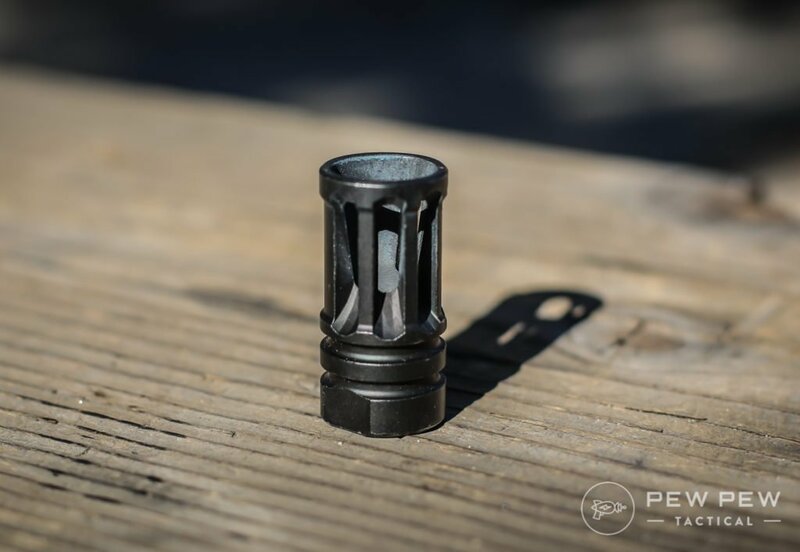 Best Goldilocks Muzzle Device goes to Strike Industries J-Comp V2 since it’s got great recoil reduction, possibly flash-hiding capability, and decently little reticle movement. 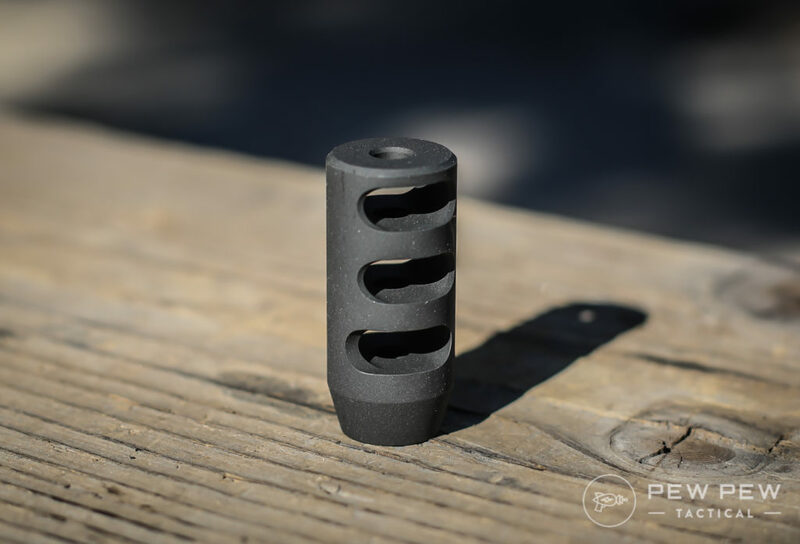 Most High Tech Muzzle Device goes to the Nero 556 with it’s 3D-printed Inconel design that will turn heads, not destroy eardrums, and give you tremendous downward force. I’m keeping this on my primary tester rifle so I get more used to the very different recoil/movement profile. Stay tuned for updates! 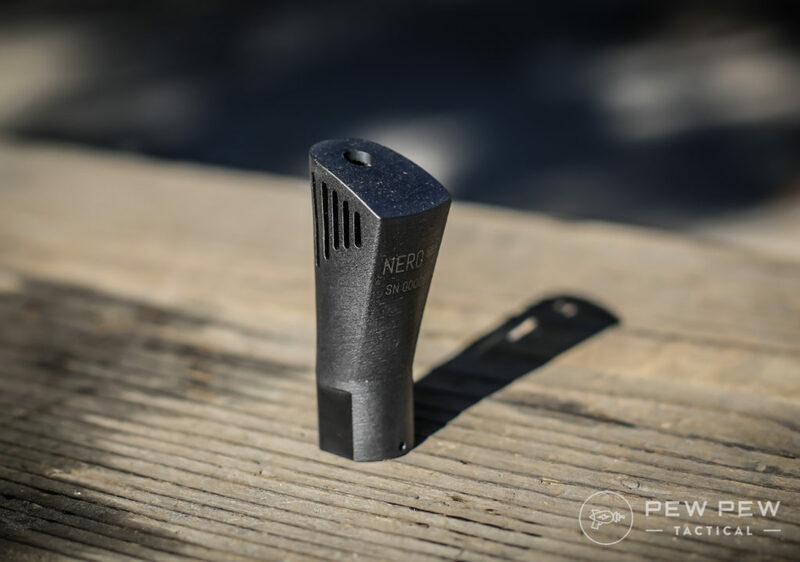 Remember to use the code “PewPew” for 10% off on the Nero. I probably missed a lot of good brakes/compensators. Let me know what you’d like to see in a future update! And if you want to make your AR-15 run even better…check out the rest of our Best AR-15 Upgrades series. Damn, I just bought the Jcomp V2 to put on my featureless AR. Guess I gotta go a different route. 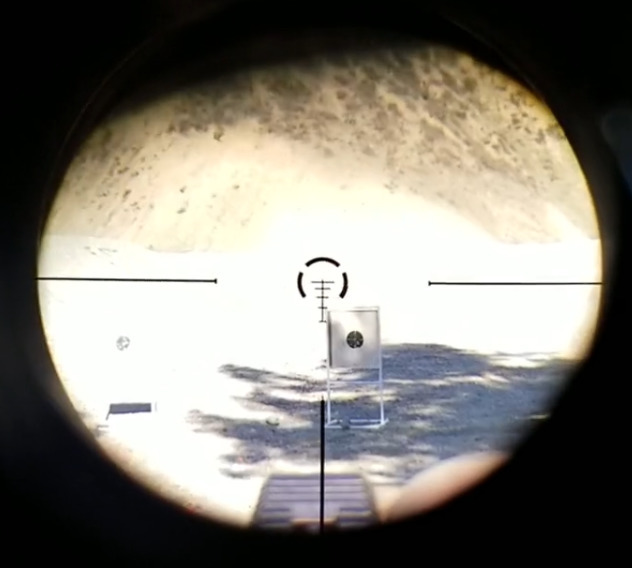 According to your videos, looked like the M4-72 had some of the highest reticle movement. The Ascend Armory looks much better in that regard compared to the M4-72 and the Miculek. Based on the videos and price alone, I would go for the VG6 Gamma — the reticle movement on there was minimal (looks much better than the M4-72 and Miculek), though apparently not as much recoil reduction as M4-72. Maybe you were just holding on tighter? Overall, though, this is an awesome and consistent video review. Thanks! Great article! Thank you so much for this comparison. I’m in the process of building a 12.5” AR pistol, and am seriously considering the J-Comp. You’re so welcome! It will add about 2″ to the length so keep that in mind. Please test the Precision Armament EFAB! Also the Wilson Combat Q-comp and the Bravo Company Gunfighter Comp Mod 1.